Feeling a little wilder than usual, lately? Like you just want to rip off your stuffy necktie, toss your paperwork in the air, and head for the closest forest where you can run freely? (possibly in some kind of pack) It sounds like you've either A) had way too much coffee and need to ease off the gas a bit, or B) got a wolf trapped inside you that's just howling to get out! 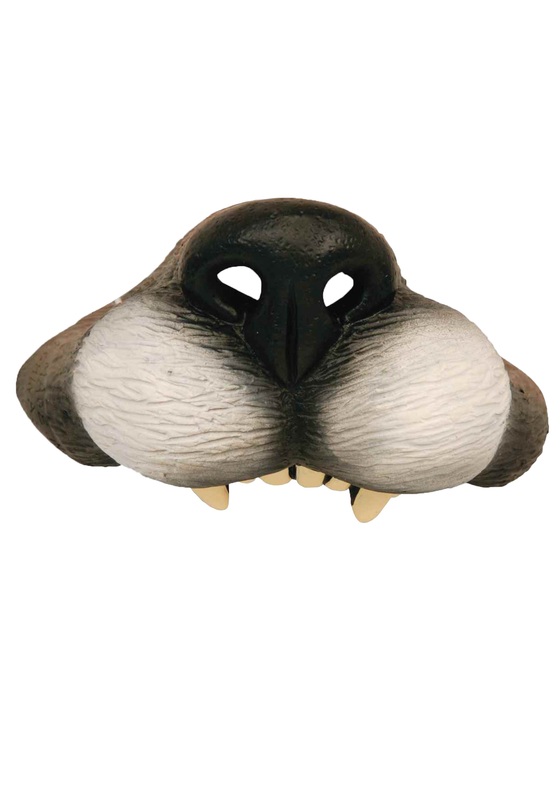 While taking a vacation to go stalking through nature with your wolfpack to satisfy your urges isn't always an option, you can always put on this Wolf Nose to show off your wolfish demeanor. It's a simple latex animal nose that's molded into the shape of a toothed snout, which is really all you need to start looking like a wolf. Wear it to work, or while out for a jog to feel like you're frolicking through the trees, or add it to your Big Bad Wolf or Werewolf costume. Just don't keep your inner wolf in its cage!